Having a problem with my start ups/restarts on my new install of Windows 7 Ultimate retail. When I turn on my PC or restart it, I have no internet access, however, the "network and sharing center" indicates I have multiple (2 active) connections. One is my "Home - Network 2", and the other is called "public network". This is a desktop computer, and has never been connected to any other networks. I ran Vista 64 fine for 18 months without anything like this happening. If I click 'disable' either one of the connections, they both disappear. If I then click on 'enable', it takes about 5 seconds, then my home network is restored. The "public network" is gone as well, and it only lists "Home - Network 2" and works totally fine! I am directly on a modem and have NO router. Like I mentioned before too, I have never had a problem in 18 months with Vista 64 until I wiped my partition, and did a fresh install with Windows 7. Can anyone help me fix this? Or explain how to disable the public network somehow permanently? 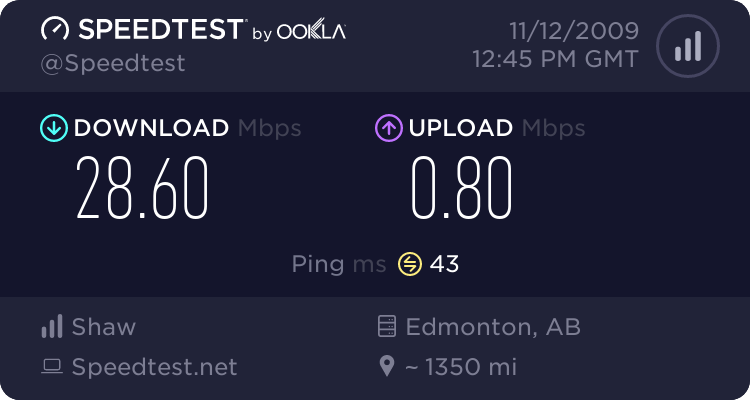 I am also not having any problems with speed or performance with my internet. I see these 2 people are having the same problems as me as well. Hope this helps someone else! I was at my minds end. Last edited by Apathetik; November 12, 2009 at 06:57 PM.